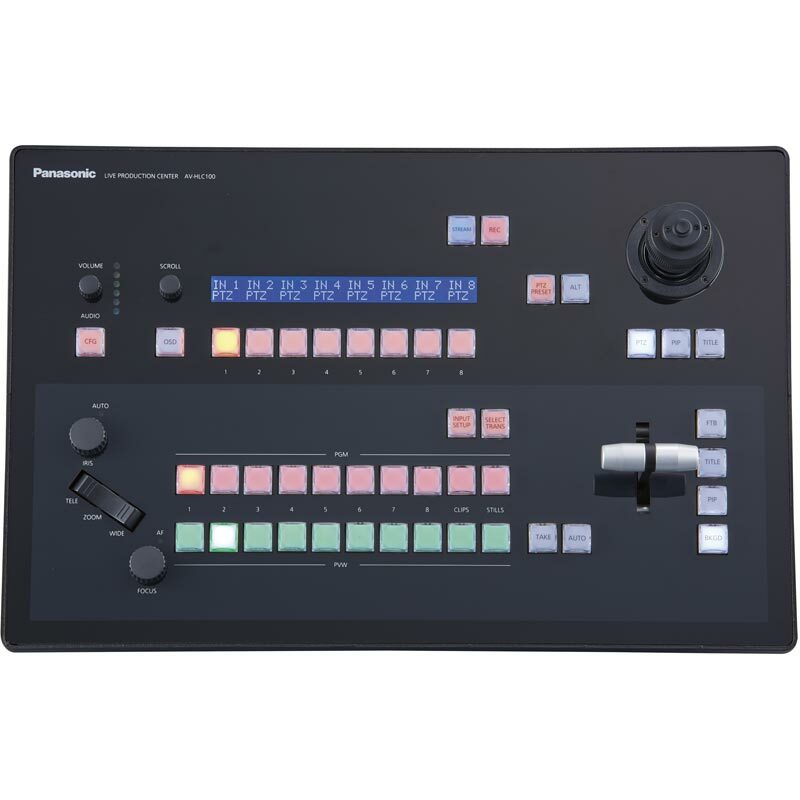 The AV-HLC100 live production center is an AV production unit from Panasonic that allows for a high-quality, professional transmission to be enabled where there are a limited number of operators available, making it a suitable option for live-streams, conferencing facilities and event/staging facilities. 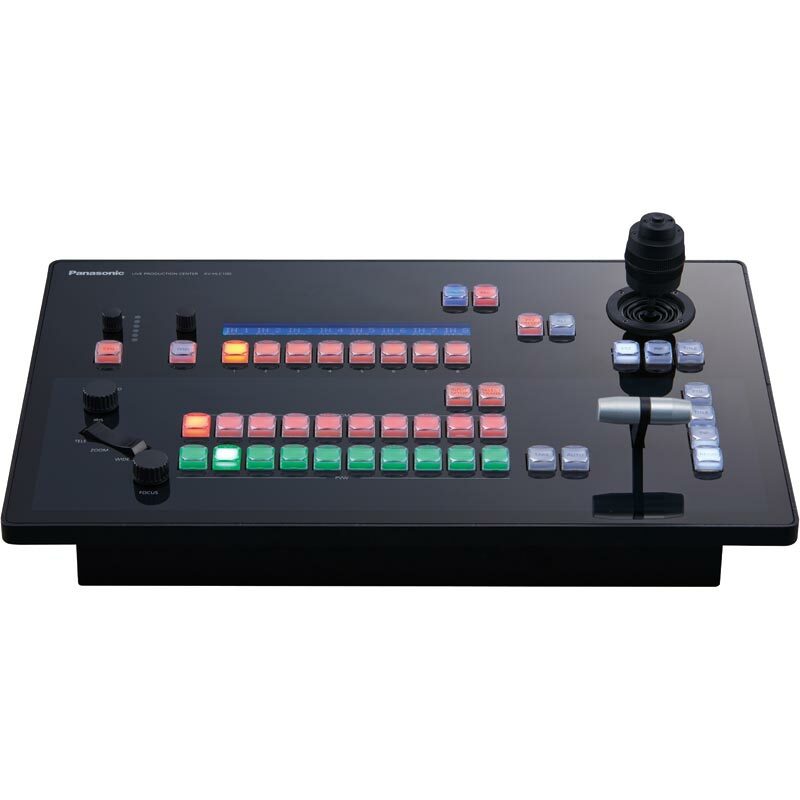 Combining the functionalities found with a 1ME switcher, PTZ camera controller and audio mixer into a single device, the AV-HLC100 makes it possible for a single person to operate all functionalities within a transmission. For PTZ camera operation, both the connection and settings can be managed via the Easy-IP connection function whilst pan, tilt and zoom operations can be performed using the large joystick. Output format support includes 1080/59.94p and 50p in addition to a cross-conversion functionality between 1080p and 720p. Flexible transmission can also be achieved through the ability to mix embedded, line-input and mic-input audio into the video. The AV-HLC100 also supports both NDI|HX and RTMP network protocols, with the latter allowing direct transmission to be made into live streaming services such as YouTube Live for example. 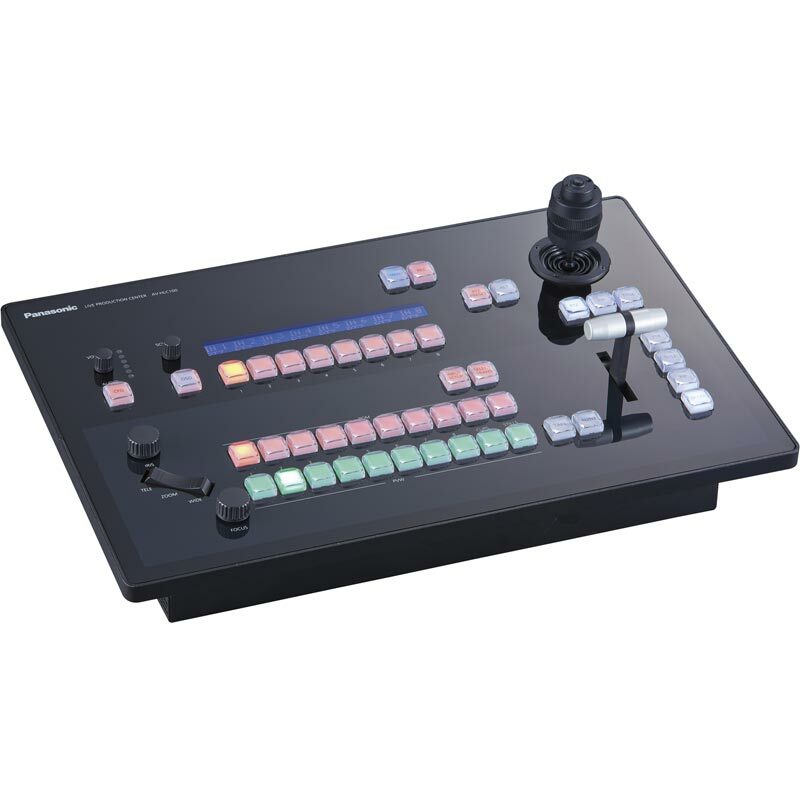 With a full line-up of professional integrated cameras with built-in NDI|HX support now available, the introduction of the AV-HLC100 supports a complete live production system purely over IP with a single-cable workflow that enables very low latency video, audio, PTZ control, tally and power all over a single CAT5 cable. * NDITM is a trademark of NewTek Inc.
Panasonic has introduced a new handheld camcorder, the first in a series set to combine advanced connectivity functionality with high end image production for broadcast and streaming applications. The AG-CX350 camcorder spearheads the series, and is the first camcorder in the industry to provide NDI | HX connectivity. 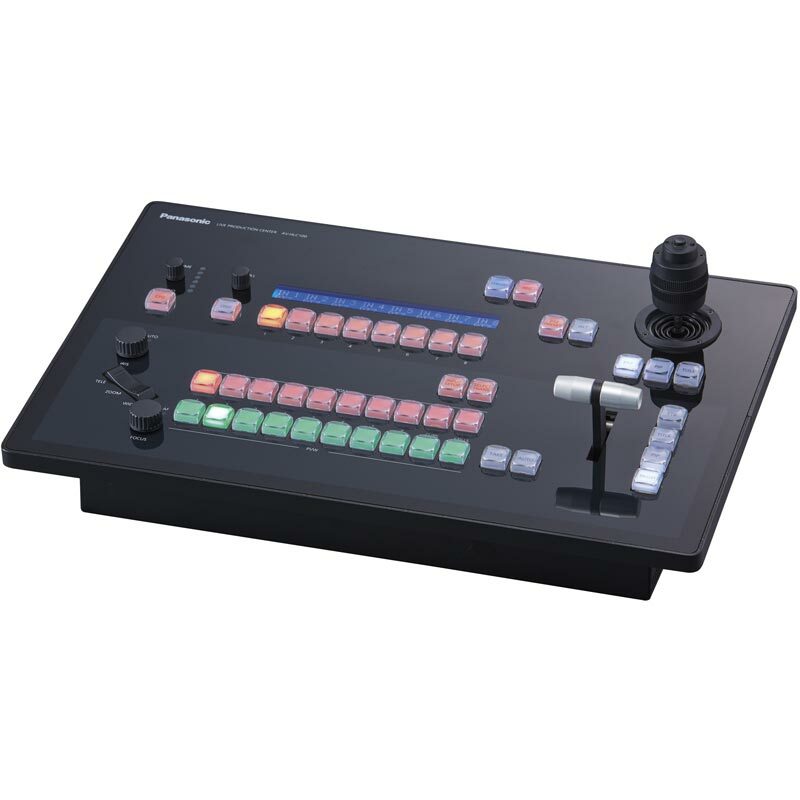 This ensures smooth video transmission and camera control over IP for live events and web distribution, and means the camera can be built in to larger systems working alongside Panasonic PTZ camera systems equipped with NDI|HX and the Panasonic Live Production Center (AV-HLC100). The following problems are fixed. The audio level is lower by 20 dB during the recording or playback of a clip. The clips (.mp4) cannot be played back in the Media Player. When HDMI input format is changed, the video may be distorted. REC/Stream button operations do not match GUI REC/Stream indications or operations. Fade To Black will not work when the format is 1080/50i. 1080/60p streaming/recording cannot be carried out when the format is 1080/59.94i. Recording cannot be carried out if LOW is selected for encoding while the setting is at 1080i or 1080p. A PTZ camera will not stop panning even if you switch over from it to another while you are panning it. The selection screen for speed control will not be displayed if a PTZ camera is connected to SDI with its IP specified. When the following conditions are met, the output video is unsteady on the screen and the application is forced to end. This has been corrected. 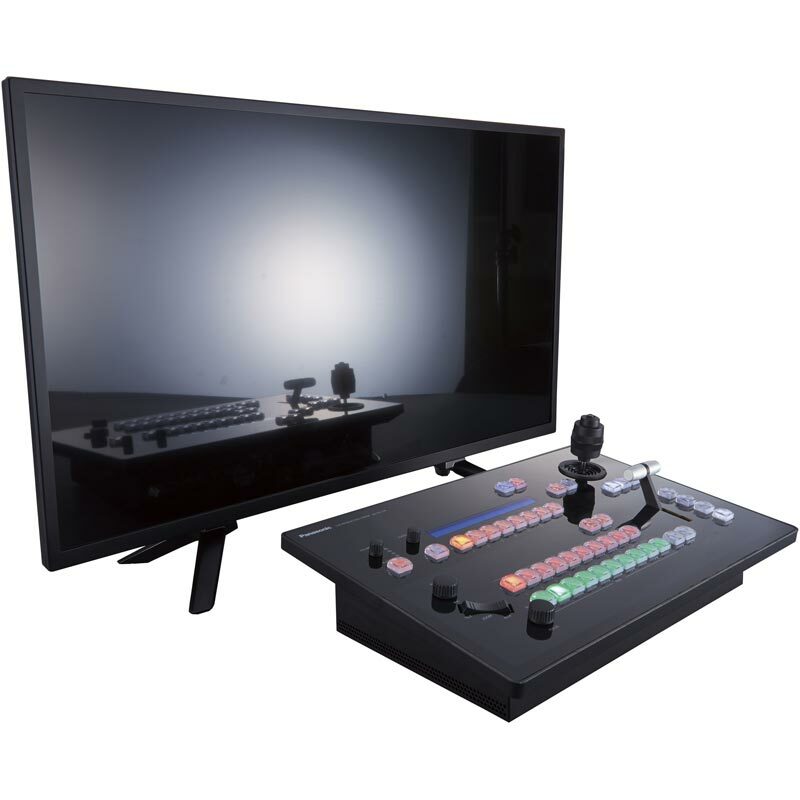 IP output (1080/59.94p, 1080/50p) from NDI|HX compatible equipment is input into AV-HLC100. The system video format is set to 1080/59.94i or 1080/50i. The output streaming is performed. The Audio Delay function can be used according to the original requirements of design.